A series of English programmes across Scotland. 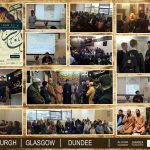 The Scottish Ahlul Bayt Society’s 3-day, nationwide English Lecture Series on the Wilayat of Imam Ali (ع), saw the Muslim communities of Edinburgh, Glasgow and Dundee – cross-denominational – band together in celebration of the birth of the Holy Prophet’s (PBUH) Cousin, the first Holy Imam, Imam Ali (ع). 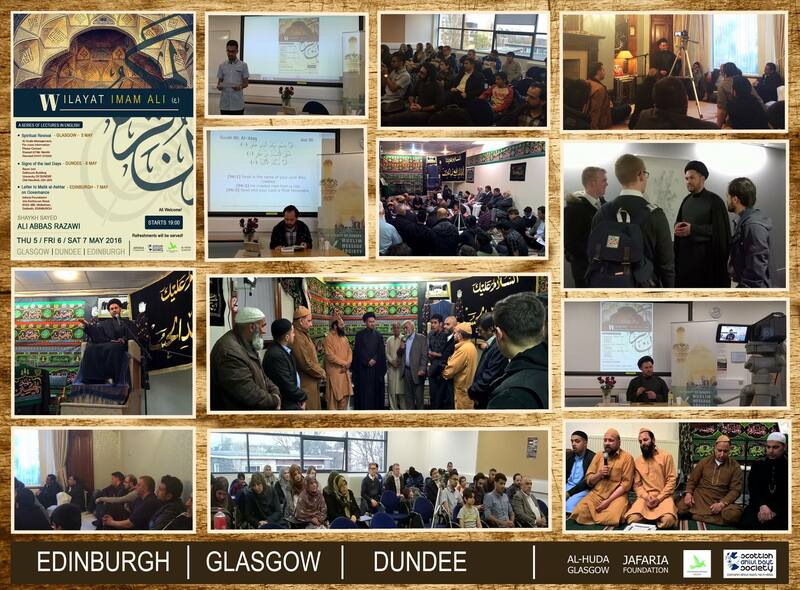 Director-General of the Scottish Ahlul Bayt Society, Shaykh Sayed Ali Abass Razawi, led the congregations; uplifting and sanctifying the gatherings with his sermons. Friendships deepened in the spiritual atmosphere. Our thanks go out to the communities of the three cities, and the esteemed scholars, community leaders, and respected brethren present. Our warmest thanks to Shaykh Suqlain Shah and our noble brothers who honoured us with their Remembrance of The Holy Ahlul Bayt (ع), family of The Holy Prophet (PBUH) in fellowship. May the love of the Holy Prophet (PBUH) and His Holy Ahlul Bayt (ع) continue to, as ever, strengthen our unity and brotherhood.